According to Greek mythology, Cephalus (Kephalus), son of Hermes and Ersi, while being chased by the gods, arrived in “Athenian land” (“Athinaea” in Greek), where he planted a vine to remind him of his home, Athens. In the course of time, “Athenian” became “Thrinaea” and eventually it came to be known as Thinia, whereas the island itself was named Kefalonia, after Kephalus. Robola has survived through the centuries and has even been improved. It is protected by special legislation as a wine with Protected Designation of Origin (P.D.O.). The microclimates created by the hills and mountains, the anhydrosity of the bedrock, the winter and summer temperatures all combine to provide a suitable home for the Robola variety. Due to the slope and location of the majority of the vineyards, cultivation by mechanical means is not an option. The majority of the vineyards have the traditional 1.6m x 1.6m vine spacing. This allows for better shading of the ground and better exposition of the grapes. The vines sit on poor soils, but their strong roots extend into cracks and crevices in the Dolomitic limestone bedrock, fractured by seismic action since antiquity. These cracks are filled with better soils washed in by winter rains. The bedrock is very anhydrous and the vines root systems survive by obtaining water by capillary action. The soil is generally described as limestone. The nutritional status is generally low-to-moderate in terms of vigor potential and drainage hazard is generally low. To create a successful capillary, the growers allow the vines to bush out, creating shade. This is one of the reasons for their low appearance. The first vine grew and spread, covering the entire island of Kephalonia. 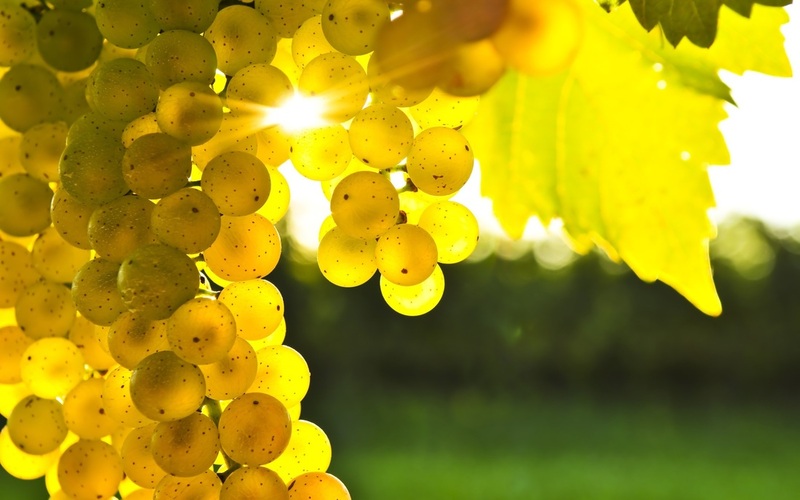 The white, yellow, red and black grapes produce fine wines such as Moschato, Vostolidi, Mavradafne, Thiniatiko, Tsaoussi and Robola, one of the nobelest Greek varieties. The Robola vine grows on thin soil, in a cool climate and requires plenty of sunlight. Robola produces elegant dry white wines with the most notable one being P.D.O. Robola of Kephalonia. This is a wine full of lemony fruit and fresh acidity but definitely not lacking in depth and extract. Robola grapes are solely cultivated amidst the Robola Zone, which lay in the most mountainous area of Kephalonia, and extends around the Omala Valley. The climate is lacking in extremes, and maritime influence is obvious. Total cultivation is about 250 acres of vineyards planted between 1900 and 2013. The majority is the Robola variety, with most of the vineyards planted on their own roots, with a diverse clone range. A small amount of other native varieties such as Tsaousi, Vostilidi, Muscat, Mavrodaphne is cultivated as well. Due to the aggressive topography, Kephalonia has a diversity of meso-climates. In general, the island has cool-to-cold and wet winters (1300 mm rainfall, some of the highest in Greece) and warm-to-hot and dry summers. The average August temperature is 26.6°C. Rainfall is dominant in the winter, with most rain falling between October and March. Frost and hail risk is minimal. The majority of the older vineyards have a west to southwest aspect (planted on the mount Aenos slopes) at an altitude of 900-2100 feet. Some of the newer plantings have a more southern aspect. Since 1999, a portion of 10% of the Vineyard has reverted to Organic Cultivation. Kefalonia nowdays is offering modern and efficient wine tourism and diverse wine tasting.